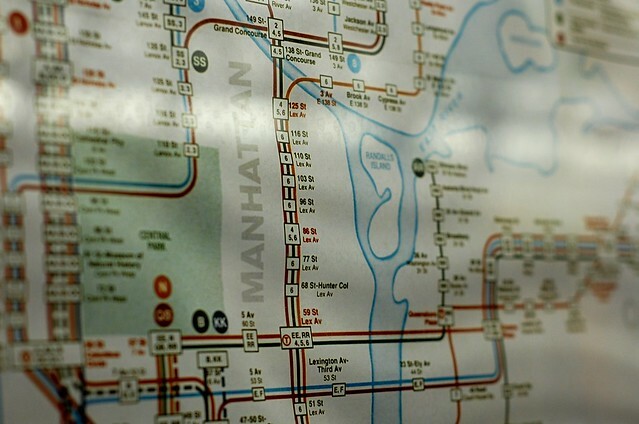 The museum is located in an abandoned subway station, and you have to go underground to enter it. The first section tells you all about how subways are constructed and includes photos from the original construction in the late 1800s. 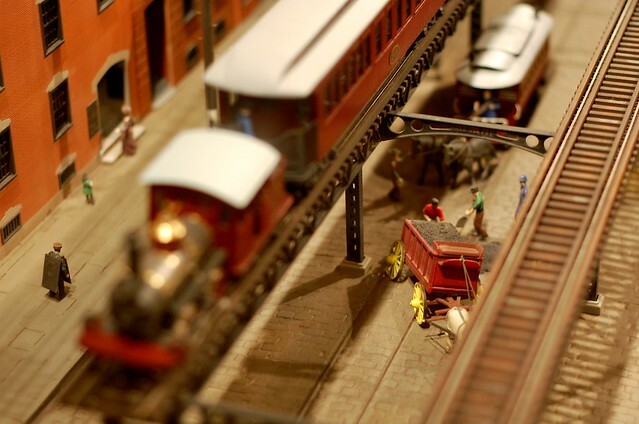 As you wander through the museum, you get a chance to see old buses and trains. If you’re 28 going on 11, you’ll sit in the bus and pretend to drive it. 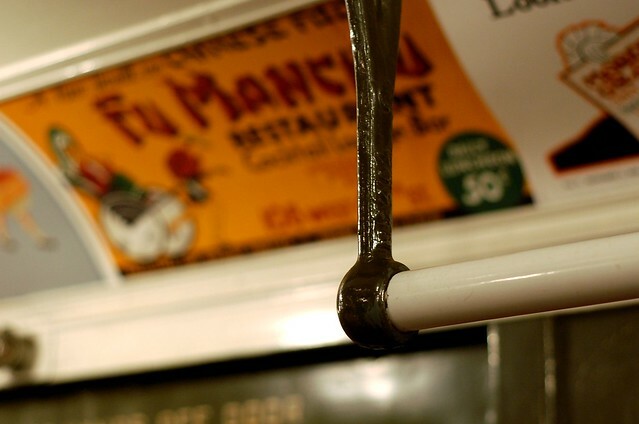 The museum allows you to wander through old trains and see the original ads that are posted on each of them. 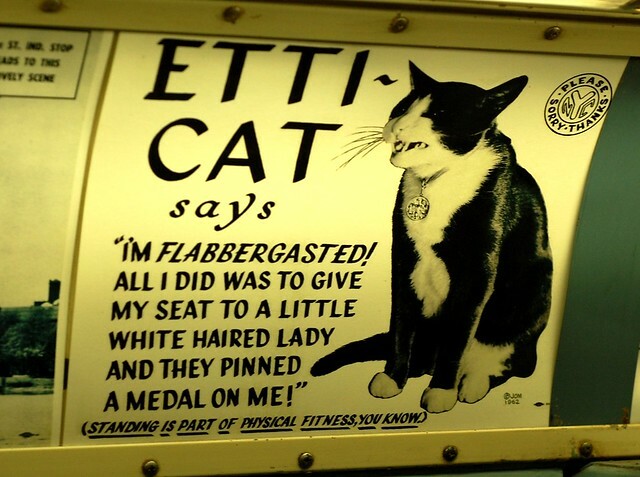 Some of my favorites include Etti-Cat, who tells you how to be polite on the subway. She also looks freakishly like Holly Golightly. 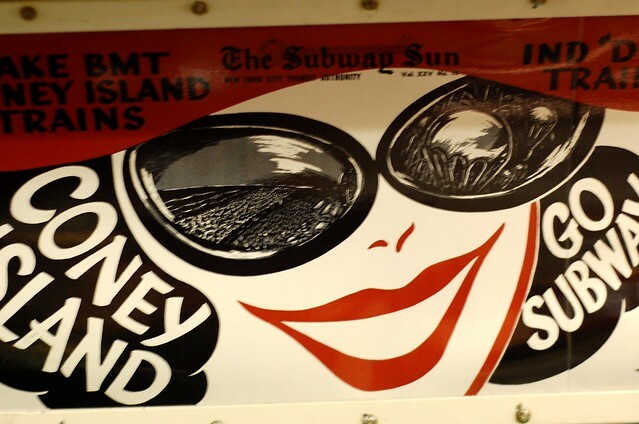 I was also taken with this Coney Island ad. 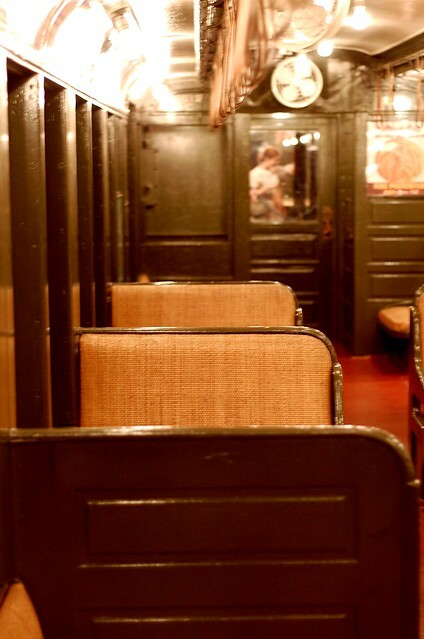 And the old seats on the trains. They’re so fancy. And when I was ready to go home, I just had to look at an old map to find my neighborhood. so, so fun! i love your nyc life! !